Monster Pig Killed by 11 Year Old? See the Fox News story here. The Monster Pig website here. This volume is a must buy for any lover of biblical theology. 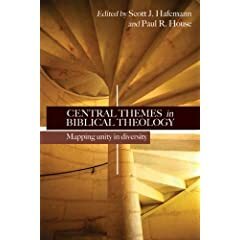 I had the pleasure of reading early versions of the chapters by Hafemann and Ciampa, who respectively make outstanding contributions to covenant theology and overarching frameworks for redemptive history. It’s rare that a pop icon is known for a stance on abortion, especially pro-life, especially out of the gate in popularity. Jordan Sparks has been a long time advocate of pro-life. It will be interesting to see how liberal media outlets handle this emerging pop star conservative. See the story here. There are few things like reclining in a comfortable chair or couch, cafe au lait within arms reach, pleasant sounds in the background, and a well-written, engaging book in hand. Fewer still are these moments, especially as a parent. My wife sent me out this evening to enjoy one of the things I enjoy most. The au lait isn’t that great; the coffee was too weak. The book, on the other hand, is titilating. It’s so engaging that I enter a five second debate after each chapter: “Should I save the rest for tomorrow?” I read on. Falling Man is a likely book from an unlikely author. Likely, because it’s a fictional account of life after 9/11 in the world of a few Manhanttanites. An unlikely author becasuse DeLilo is perhaps best know for his magnum opus, Underworld. The first chapter of Falling Man is online for free. See Frank Rich’s NY Times review here. Many thoughts are brewing after the first five chapters. I’ll hold them until the end but expect a reflective post on Falling Man very soon. Books like this don’t linger long in my hands.